Cover page for the 3 Postludes. 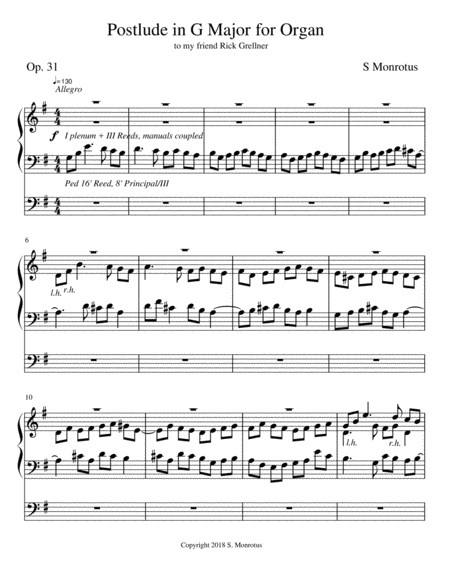 A listing of the 3 Postludes by title and Opus number. Helpful information about the 3 Postludes and how to perform them.